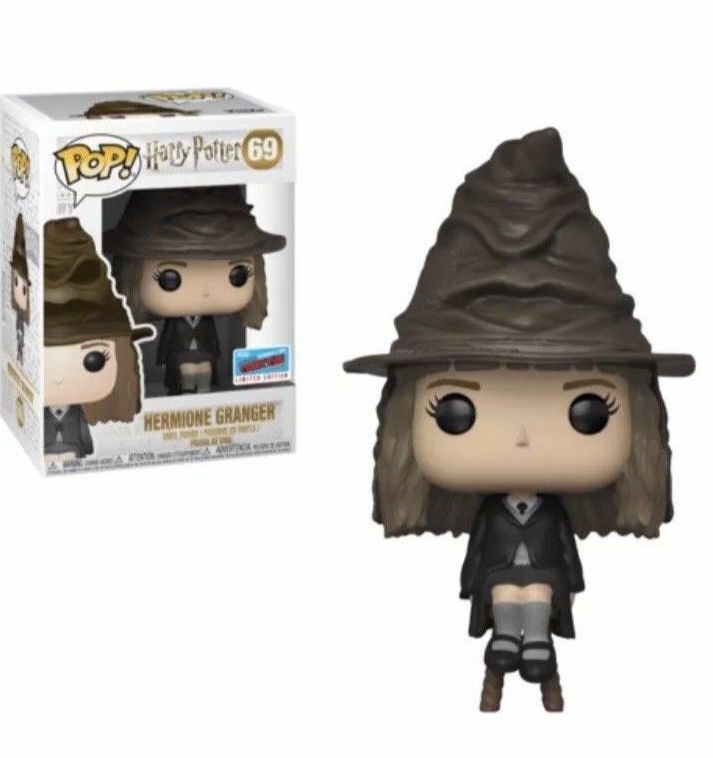 ‘Cursed Child’ Cast Panel, ‘Origin’ Panel with Tom Felton & Natalia Tena, ‘Harry Potter Pensieve Experience’ & More NYCC Exclusives! Wizarding fans appeared at New York Comic Con yesterday–whether by broom, portkey, Floo Powder, apparition or, sadly, non-magical means–excited to see the cast of Harry Potter and the Cursed Child and Tom Felton and Natalia Tena for YouTube’s Origin panel. 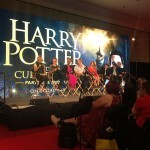 Once again, Leaky’s editor and correspondent Amanda Kirk was onsite alongside other fan sites, such as Pottermore, to bring you coverage from the event! Keep reading for coverage, as well as tips for not-to-miss Harry Potter and Fantastic Beasts material and actor at the event this weekend! Harry Potter fans were easy to spot–no detectors from Weasley’s Wizard Wheezes needed–resplendent in their cosplay! It turns out the Cursed Child cast weren’t too difficult to locate either, arriving in style–of the Muggle variety, that is. When it was finally time to congregate for the Cursed Child panel, the fans went wild! Anthony Boyle (Scorpius) shared stories from his first comic con (where he helped “dress a ghostbuster” on the way in), and spoke about how long they’d been fans of the Harry Potter series for before joining Cursed Child. Alex Price (Draco) said he wasn’t a huge fan before the play, Anthony Boyle and Sam Clemmett (Albus Severus) had read the books. Poppy Miller (Ginny) said she first read the books whilst camping, Paul Thornley said he saw people on the tube reading Harry Potter, and has read the books, but gets teased by the other actors for not knowing anything! Jamie Parker loves the books, and although being a part of Cursed Child means working nights, he really wants to read the books to his son; he records himself reading 20 minutes of a Harry Potter book in the toilet every day to send to him! When asked what the play means to then, Noma Dumezweni (Hermione) said that Cursed Child is about finding your identity, and Sam Clemmett chimed in, saying “it’s packed full of humanity”. Attendees were lucky enough to see a clip of the play, and see a video message from composer Imogen Heap (who is currently on tour and will release the soundtrack in an album titled The Music of Harry Potter and the Cursed Child next month) – a first in Wizarding World history! He even broke into song, which was unexpected and–dare we say it?–magical! Ron, @paulfthornley said he doesn’t have a sister in real life but he feels like he has a sister now and he & Ginny, @Popski_emski hit each other! The actors were asked who they'd play if they could switch roles in @HPPlayNYC . Draco, @alexpriceactor said Snape, @AnthonyBoyle would like to play Draco when's he older and @DickLeFenwick would play Dumbledore. It was such an incredible experience getting to see the Cursed Child cast reveal a few of the secrets of the stage for the very first time! The show is reportedly “all horror”, and is described as a Lord of the Flies type story, where the characters are trapped in a horrible situation. Natalia Tena said she had a fun experience on set, and is most looking forward to her fight scenes. 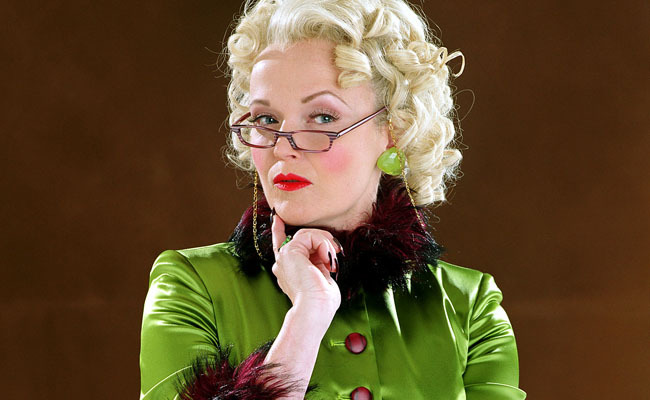 Tom Felton thinks audiences will enjoy seeing the “special lady” in his character’s life. He told audiences that he had a few injuries whilst filming the series, including slamming his hand into a wall! He held strong, and even though it was “p*****g out blood” he didn’t call the medic, and didn’t even stop the scene! Felton also made a couple of Potter references! We can’t wait until the series debuts on November 14th! What did you think of the new trailer? Audible also teamed up with Pottermore to present a one-of-a-kind fan experience. “[It is] an interactive, multi-sensory content experience that brings fans even closer to the magic through an interactive, multi-sensory content experience, in celebration of 20 years of Harry Potter. We had the chance to investigate the experience for ourselves, and chose Harry’s memories, which revealed special recordings of moments from Harry’s story, narrated by U.S. audiobook reader Jim Dale. 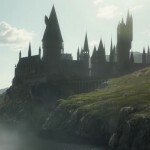 Check out these videos from Pottermore teasing the memorable experience. Syfy provided an in-depth account of the experience, recounting how participating fans walked down a corridor to the sound of narrator Jim Dale voicing Harry’s first encounter with the pensieve. Before entering the next room, fans were advised to consider which of six characters’ memories they would choose: Harry Potter, Hermione Granger, Ron Weasley, Lord Voldemort, Albus Dumbledore or Severus Snape. They then selected the appropriate vial, just like those from Dumbledore’s office, and proceeded into a space filled with ethereal floating creations intended to conjure the visual of silvery memories swirling in the waters of the pensieve. “With a vial, one can approach four different stations set up inside. Insert the vial into each station which also includes headphones and a tall video screen. After placing the vial into the opening, a specific audiobook excerpt about a character plays as the image on the screen moves and changes. Paul Thornley also had the chance to give it a go and chose Ron Weasley–no surprise there! He then spoke to Pottermore, alongside Poppy Miller, about how it went. Thornley, Weasley and Noma Dumezweni closed out their time with Pottermore by remarking on the fantastic reception they’d had at NYCC and how much they enjoyed the enthusiasm of the fans. “A Harry Potter Pensieve Experience” will be open at the Javits Convention Center for New York Comic-Con badge holders through Sunday, Oct. 7. So if you’re planning to attend, don’t miss it! Look who we just saw at @NY_Comic_Con – @mrdanfogler ! Stay tuned to find out how to win one of his @DanFogler4DX t-shirts or an autographed copy of his graphic novel Brooklyn Gladiator!! The booth also give the chance to spin the BeanBoozled 5th Edition wheel, and try some mystery flavours of jelly beans, and take a look at Jelly Belly’s newest Harry Potter treats, including chocolate wands and gummi creatures – head over there to try these magical treats! Another booth to check out is Insight Editions at #1946, who are handing out beautifully designed cards (some featuring Harry Potter designs! 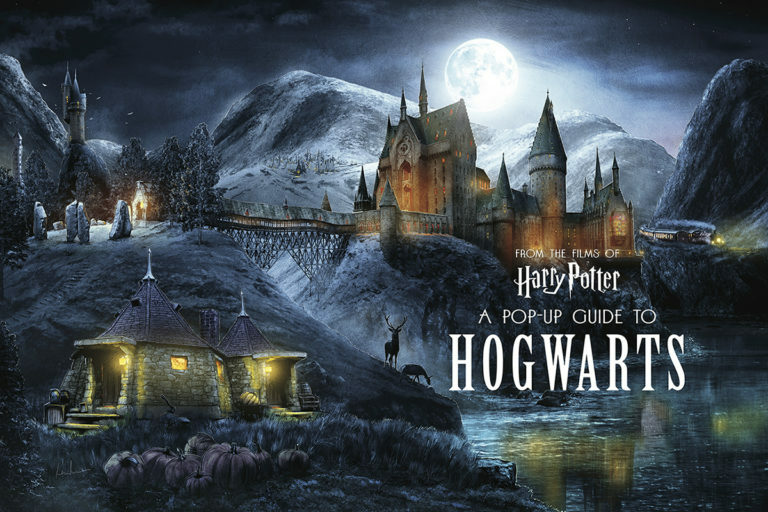 ), and previewing upcoming publications, including Harry Potter: A Pop-Up Guide to Hogwarts – you’ll even be able to get your hands on some NYCC exclusive copies, if you’re fast enough! On October 7th there’s also the chance to attend a ‘Pop-Up Wizardry Panel‘ with master paper engineer Matthew Reinhart, award-winning illustrator Kevin M. Wilson, and others to discuss the creation of Harry Potter: A Pop-Up Guide to Hogwarts, and bringing the castle to life with 3D paper art. The panel takes place 1:15PM – 2:15PM on Sunday, in Room 1B03. Mathew and Kevin will also be hosting signings at 3pm on both Saturday 6th and Sunday 7th. Take a look at the material Insight Editions are previewing here. Finally, today, Friday 5th, David Tennant (Barty Crouch Jr) will be joined by ocDtor Who‘s Matt Smith and Alex Kingston for ‘Tardis Time’ – a panel about their time on the show. The panel takes place 8:00 PM – 10:00 PM at the Hammerstein Ballroom – don’t miss it! 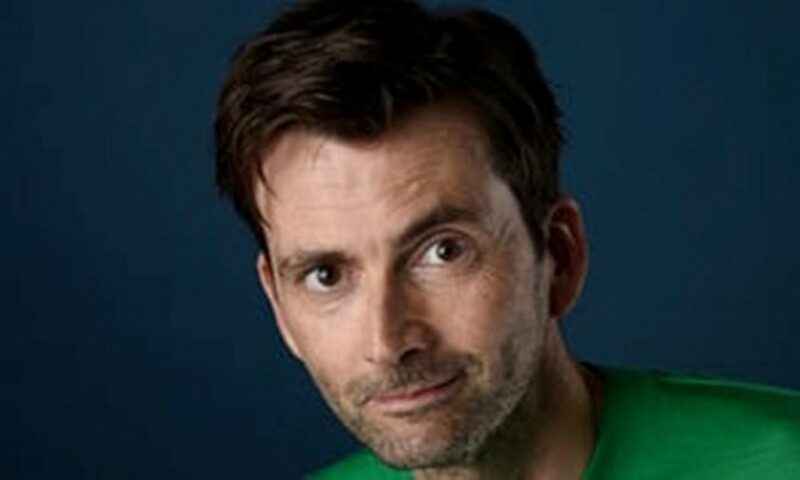 Tennant will also be joined by co-star Miranda Richardson (Rita Skeeter), and Michael Sheen, as well as creator Neil Gaiman and Douglas Mackinnon for a panel on upcoming series Good Omens. The panel takes place 10:00 AM – 11:00 AM at the Hulu theatre in Madison Square Gardens tomorrow, Saturday 6th. 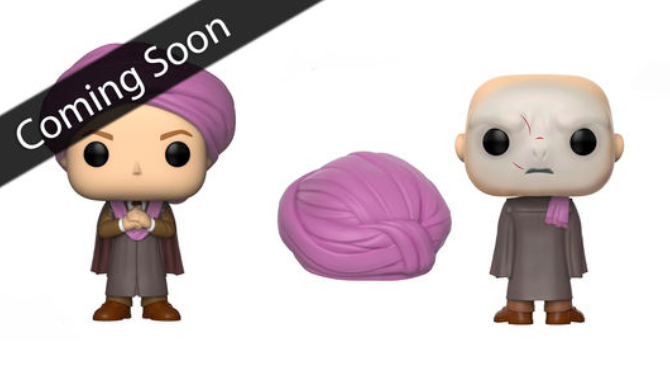 There’s plenty of Harry Potter and Fantastic Beasts material yet to come at NYCC, so be on the look out throughout the weekend, and be sure to send or tag us in any photos via Twitter, Facebook or Instagram!